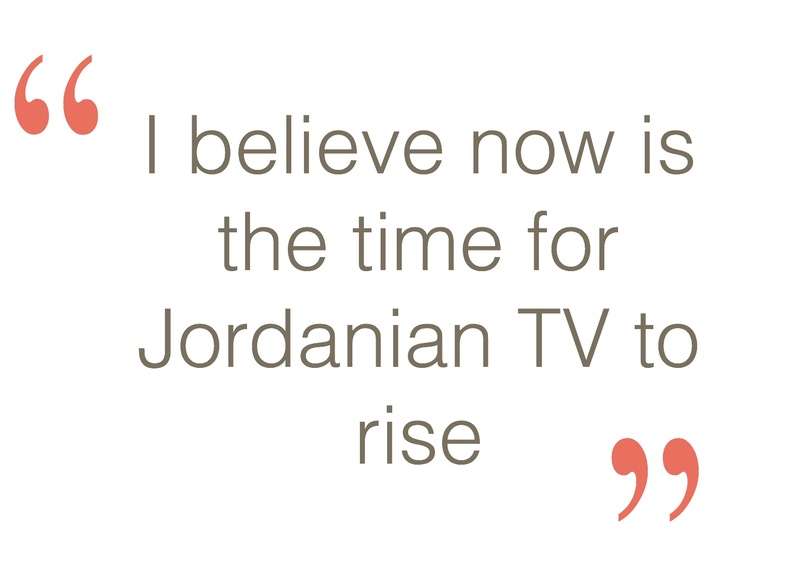 Tima Shomali: I believe now is the time for Jordanian TV to rise. Many young talents have emerged in the TV and Film production industry in the past few years but no one were as successful and productive as Tima Shomali. In less than five years, she starred in three popular TV shows, produced two of them, started her own production house, and working on a new production that aims to make Jordanian drama sell in the region. With more than 285K fan on her Facebook page, 86K follower on Instagram, 69K follower on Twitter, and millions of accumulated views on her youtube’s Fe-male show, Tima is certainly a national phenomena. Fadi: You are the most successful young actress in Jordan with an impressive track record of quality TV productions starting from Bath Bayakha to Fe-male (two seasons) and Zain. All of that happened in a short period of time and at a time where many young talents of your generation are fighting hard to find an opportunity in an industry that is still in its infancy. I remember first time I saw you at the Royal Film Commission in 2009, you were merely starting. Back then you were working on developing a short film script. Few months later you attended the 3-weeks comprehensive film making workshop and were happy to stand behind the camera taking the director role. A year later you applied to RISCA and were among the first batch of film makers graduates. Then we saw you on TV in the successful first season of Bath Bayakha. Tell us more, how did that? How did you reach this far? 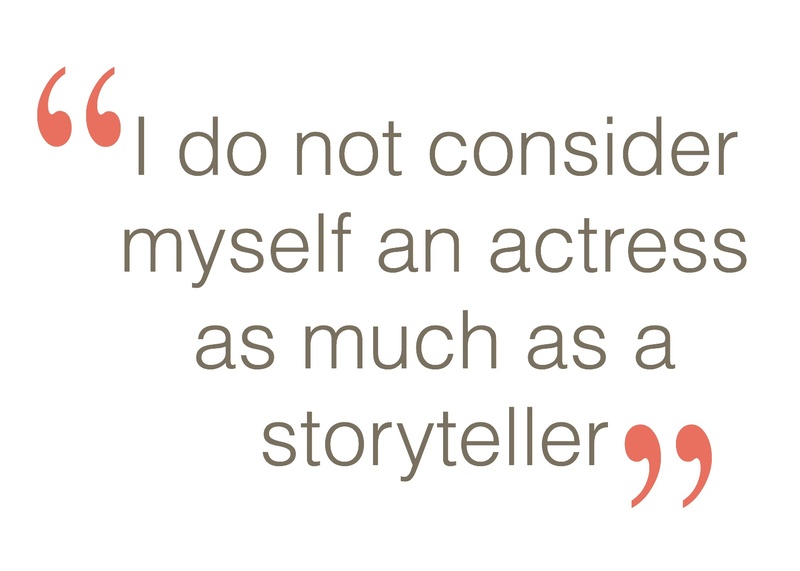 Tima: First of all thank you, I do not consider myself an actress as much as a storyteller, whether it was by writing, acting or producing stories that i would like to tell. I have the passion for story telling since i was a kid, and how I reached this far is by hard work and God’s well. Fadi: I feel sad that RISCA couldn’t survive for a longer time. 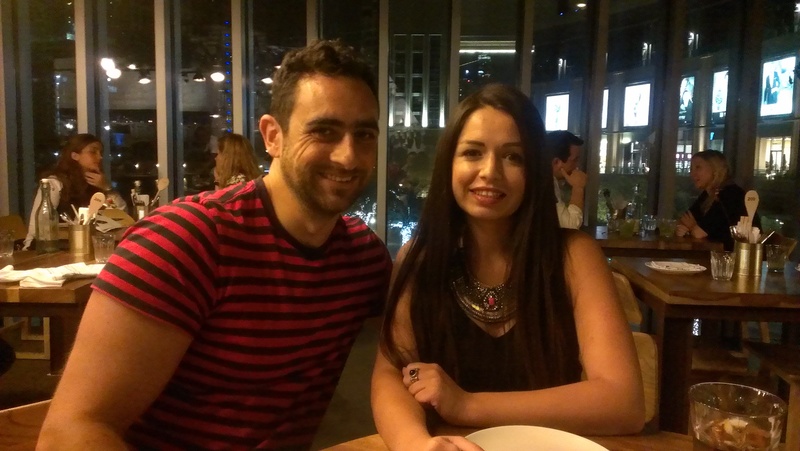 I heard the news last year from Fadi Haddad (Director of When Monaliza smiled) and Nadia Olewat (Producer of the same film), two RISCA graduates who moved to teach at the American University in Dubai. How do you rate your experience at the school? how do you feel about the fact that it is closed now? Do you think there is a market for such caliber of film making graduates in Jordan? there are no students that are able to pay the high fees how do we expect it to survive? and as you know i don’t think we have the mentality yet in our culture for the majority to pay high fees for what most consider a risky career specially in Jordan, its sad but its true! I have graduated from RSICA with MFA degree in producing/writing and I am a RSICA baby. RSICA is one of the main reasons of what I am now to be honest, I owe it a lot and it was the best time of my life. Fadi: One of my favorite episodes on Bath Bayakha 2, it is also one of the most popular episodes on youtube with more than 400K views, is “Al Hakika Al Murra” (the ugly truth). Like Aroos Amman, it hit a sensitive nerve of young Jordanian women obsessed in marriage. Do you remember the reactions to that episode? Tima: I joined Bath baykha team as a writer and lead female actress for 2011 season. It was the first thing I did after graduating from RSICA and it was a great experience. “The ugly truth” sketch was very popular I think because it was very real and people related to it. Its like the things we all know its a fact but we never talk about it. Fadi: Bath Bayakha started as an online show, right? Tima: Bath bayakha started online and then it became an online and TV show, it was aired on OSN and Roya TV. Fadi: You also started Fe-male as an online show before taking it to the screen and showing it on Ro’ya. How did the online sphere helped you? and what opportunities are their online for young talents? Tima: I really think that what actually helped my career is the online platform, because it has no rules, you create your own rules, and anyone – I mean it – anyone can do something and show it online now. It gave a chance to all talented people to showcase themselves. It is easy to put it online but that doesn’t mean its easy to succeed. Its actually very hard, first of all because the online generation are really picky, and they choose what they see its not forced on them like TV, second of all there is a lot of competition out there, but for me the secret for any thing to succeed online is not the quality, not the star, its the unique content, thats the secret. Work on your content and then everything else will come by default. If you succeeded to have a a good content you’ll attract people, and step by step you’ll be able to work on the quality.. and other stuff, and thats how it happened for me in Fe-male show, its started a one woman show online, and then it developed to have a full crew not leads than 25 people working on it, other than the actors, and we got sponsors who invested in the show, and then it developed to be on TV. its a ladder, you climb it along the way as long as you have the right base, which is good content. Fadi: In Fe-male you are a writer, a producer and an actress, how did you manage to take on all of these roles and come up with such quality production? Was the show your idea? Tima: Fe-male show to me is my starting point, before that i was not 100% sure I can continue in the field and not have a side job. I didn’t know even if it can be an actual career, because its really risky. But after Fe-male show I realized this is what I want to do and fight for for the rest of my life – film and TV productions. Fadi: I loved the modern reflection of Jordanian young women in the show, it is the first time that we saw such true manifestation of young couples in West Amman. In the past, Jordanian drama focused on Bedouin or small towns outside the capital. It was a fresh experience to watch something that is closer to our lives on screen. Do you think that’s one of the reasons behind the success of the show? Tima: Fe-male show was an instant hit. I didn’t expect that to be honest, but I think it got popular because it is natural, real, close to people, and you start to feel that the characters are your friends because we actually talk to the audience. It was the characters stress release moments when they’re in the studio and able to say what they actually feel to their audience, and because the subject, which is the couple relationship is attractive and everyone goes through these things! or know someone who does. Fadi: Fe-male was very balanced in criticising both genders. Tima represented the rebellious young woman and Raja’e was the lazy young man. They both stepped up to their responsibilities as a newly wed couple in the second season. We loved their quarrels and arguments. Is there a 3rd season planned? Tima: When Fe-male show was created, it had no plan to continue for many seasons, so its hard to force seasons on it just because it was a hit! I do believe in the saying “quit while you’re on top”, maybe in the future there will be a spin-off or something, but at the moment there is nothing planned. Fadi: You started your own TV production House “Filmizion”. It was behind the production of Fe-male show. You have also produced Zain (not through Filmizion though). Tell me more about your production experience. What are the challenges you faced in the Jordanian market? You told me before that it is still hard to sell Jordanian drama in the region and that you are on a mission to change that. What’s your plan? Tima: My theory, Jordanian drama sells in jordan but doesn’t sell to the whole arab world (except the Bedouin series of course). The only drama that succeeded to cross barriers to the whole arab world were the Egyptian and Syrian drama, so that makes it hard to sell a pure Jordanian show out of the blue – at least not with full Jordanian cast to the arab world, specially that Jordanian culture and accent are not very familiar to arab audience just yet. Trying to finance a project is really hard, for Jordan, because we are still young as an industry (not as individuals), but i think the past two years Jordan started to boom, and I believe now is the time for jordanian TV to rise. Fadi: What’s your upcoming project? Tima: Actually now i am dedicating my full time and effort for a new project “كباتن” (Capaten), a Jordanian production yet an arab series. Its the production of my company Filmizion in partnership with Bayt alshawareb productions, and i have lots of passion for this project and hopefully you’ll hear the news about it soon! Fadi: Can you tell us more about Capaten? Tima: I can’t at the moment share information about the show, but hopefully soon i can share more info. Fadi: We love you and proud to have such a young Jordanian talent. We look forward to watch “Capaten” on screen in the near future.